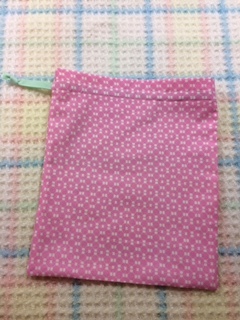 To make a toiletry bag you will need two pieces of fabric about 26cm x 36cm. 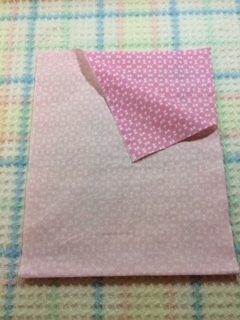 You can adjust the size of the bag to suit your fabric but please make the useable area of the bag below the drawstring no less than 24cm x 26cm to allow space for the things we need to put in. 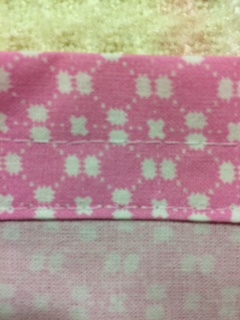 The fabric you use doesn't need to be new as long as it isn't faded or damaged. Old cotton curtains, tablecloths, sheeting, or oddments of fabric from other projects are fine to use. Nothing too flimsy please. 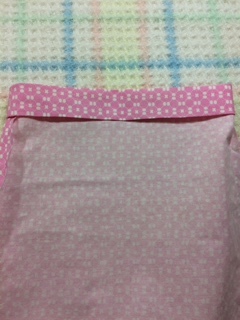 We will buy ribbon in bulk if you want to send bags without; ribbon can be expensive. 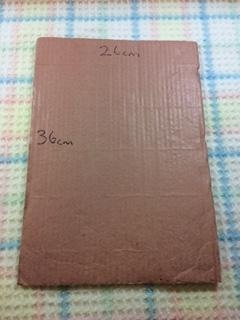 1 - You might find it easier to cut a cardboard or paper template to draw round if you are planning to make bags regularly. 2 - You. can place the base or side of the template against a fold. 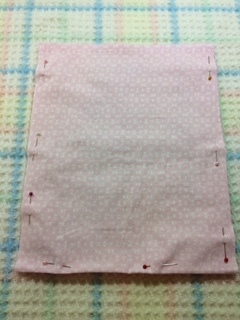 3 - Place the printed sides of the fabric together, match the sides and pin to secure. 4 - Stitch down the two sides and base as needed. 5 - Press the top part of the side seams open. 6 - Keeping the bag inside out fold over about 0.5cm of the top opening and press. 7 - Fold over about 3cm and press, this will leave the raw edges enclosed. 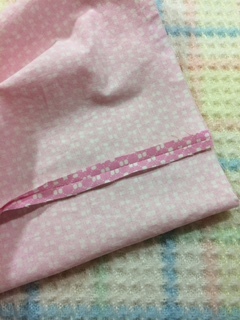 8 - Still keeping the bag inside out, sew a row of stitching close to the lower edge of the folded over fabric. 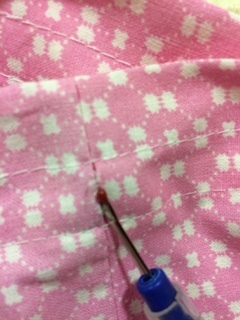 Sew another row 1cm above the edge leaving you a channel to thread ribbon through. 9 - Turn the bag right way out and press. 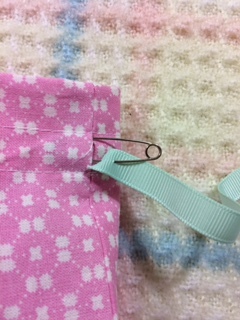 Unpick the stitches in the side seam where the drawstring channel has been made. 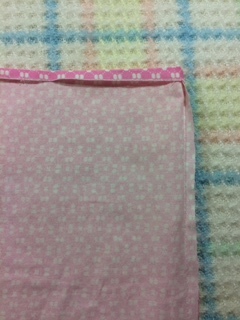 10 - Cut a 70cm length of ribbon, thread through the slot using a safety pin and knot the ends neatly. 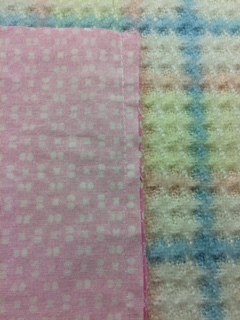 If you have two side seams you can thread two pieces of ribbon in opposite directions but one is fine. 11 - Give the bag an iron so it looks nice and enjoy your achievement. Thank you for making a mum's hospital stay a bit more dignified.